Michel Montecrossa descrive così la serata: "Through our songs Mirakali, Diana and me want to give the love that heals, the love that comforts, the love that encourages and the love that gives the magic of a smile. 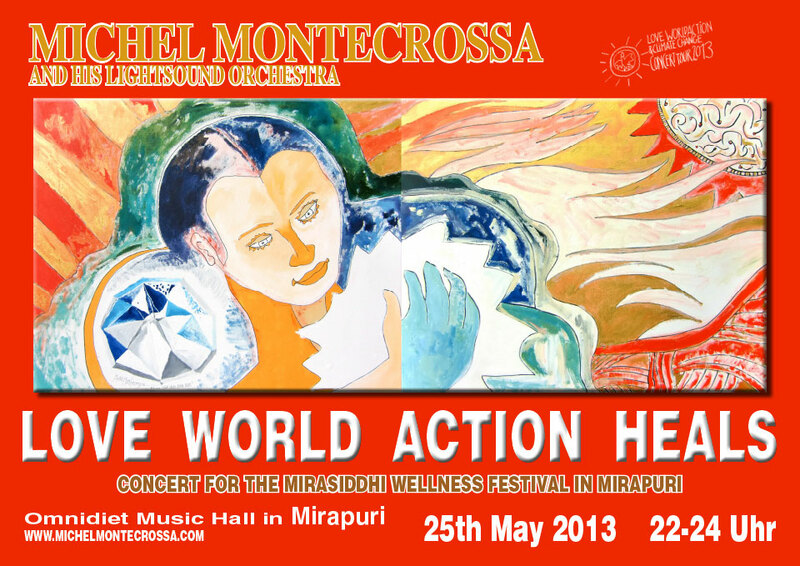 'Love World Action Heals' is our Wellness Concert for you all bringin' you happy thoughts, happy stimulations and happy encouragement for the better." benessere vengono presentati attraverso arte, seminari, musica dal vivo, trattamenti, prodotti, esercizi rilassanti per il corpo e meditazione. Allo stesso tempo ha luogo il Mirasiddhi Free Nature Camping per tutti che amano stare insieme circondato dalla natura pura. L'evento si terrà presso l'Omnidiet Hotel di Mirapuri-Coiromonte.